Really great showing for the big guy's 50th anniversary. Enjoyable cast and incredible daikaiju action. Sure, there's a bit of commercialization with the cards or whatever, but it's a minor gripe and it pays the bills for those great fight sequences. 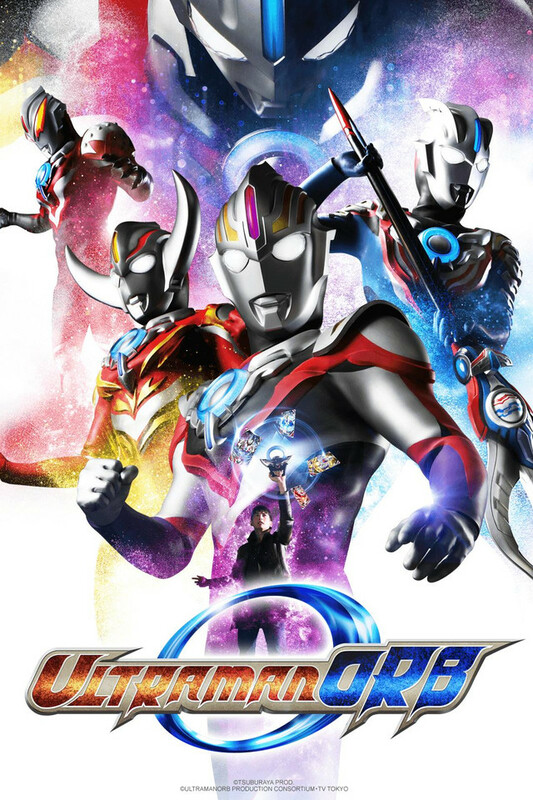 A terrific, unique, and very welcome entry in the Ultra series, Ultraman Orb has a tremendous focus on human-scale characters, interesting drama, and hilarious comedy. Showa tokusatsu vibe, with deft control of tone, both funny and serious. Really endearing hero, very funny supporting characters (the real stars of the show), and tremendously fun design / aesthetic. Cool monsters, cool Ultra forms, endearingly low-tech monster-hunter props for the SSP / VTL. Slick modelwork / scale photography too. If you need big-scale, flashy-budget Ultraman to be happy, maybe not for you. But I gave it five stars because I dig it a lot. 1. The introduction episode was great! 2. We thought we were going to be eventually bored with the continued use of the card system, man were we wrong. 3. Orb so far uses his fusions when necessary or to just them try them out. 4.They got off centering around the Earth defense team so much.